Every day, problem bosses rob employees of job satisfaction, motivation, career advancement - and, at their most dastardly - physical and emotional health. But it doesn't have to be that way. 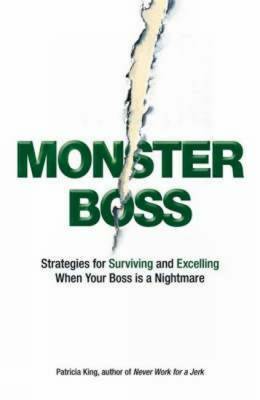 This book shows employees how to improve their situation, save their sanity, and, when necessary, fight back. They also learn how to change undesirable situations and when the only option is to move on.This informative guide offers solutions to every type of Monster Boss:the blood-sucking boss who extracts as much work as possible from his employees with no regard to their limitthe split-personality boss who constantly changes priorities or rethinks decisions that have already been madethe evasive boss who leaves her employees without goals, guidance, or leadership, but magically resurfaces when it's time to accept praise for their workand many othersThis book will also include updates on "bad boss" behavior that has become recently topical - including executive crime, verbal abuse, and harassment.